Dave, just a note of thanks for all your hard work yesterday, it was very much apprectiated that you got it all done, mum worries about these things, I am delighted with it. Will be in touch in a few weeks. "Dave Carraher responded to my urgent call when I was restyling the living room. He dealt with thermostats and other electrical work quickly, neatly and professionally. Thanks Dave!" 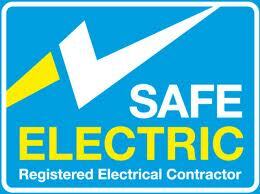 "Carraher Electrical carried out work for me in an efficient and friendly manner. They arrived on time and addressed the job in hand professionally. I would definitely hire them again. Dr. Jim Quinn 40 Glenageary Lodge Glenageary Co. Dublin. Tel. 087 2209610"
"I engaged Dave Carriher to fix a recessed light and damaged ceiling He replaced the transformer and then went off to find a scrap piece of plasterboard that he used in a very clever way to repair the damage, including finishing off with fresh plaster, resulting in an invisible mend. On the three visits involved he arrived on time and was careful to clean up afterwards His price was excellent value and I have no hesitation in recommending him. He made a pleasant change to others I have dealt with"
"Dave, those grab rails you fixed are really firm, I reckon you could swing off them if there was space in our tiny bathroom. Best Wishes.